We have a Facebook page and two Twitter accounts as well as two web sites and a SoundCloud account dedicated to the audio. Creating videos for the shows and on Wenoo at the moment until we get the new video sharing platform and streaming live video platforms built. We get the least amount of listens on YouTube (Shifting Podcasting) compared to SoundCloud, Spreaker, Facebook and Twitter. Alex, I know you don't like longer shows, but you need to deal with the fact that some people do. When Rob brought up the Rob Walch data that podcasts with over 100K downloads are at least 51 minutes, you STILL were like, "But nobody listens to the whole thing." Yet the Edison research shows they DO listen to the whole thing. I get that short shows are the ones YOU like, but that is your opinion, and you come across like your opinion is that of the podcast community (in my opinion) and you are the exception (not vice versa) according to the data. You talk about how radio will not change, and yet your opinion makes me question your ability to incorporate new information (or will you only allow information that you agree with) to shape your thoughts. Also, why would you create your show to be more like radio when the radio is (very, very slowly) dying. Radio is coming HERE. Podcasting is global, radio is not. Podcast has freedom from format - radio does not. Podcasting has the ability to time shift - radio does not. Speaking of opinion, this was mine. Keep up the good work. Hi Alex and Rob, Can I call you A and R for short? In regards to podcast lengths: The beauty of Podcasting is that there are NO rules!...NONE! Except for the boundaries and limitations set by legal agreements in regards to subscriptions, packages and language. After that the only limitations are set by your fears, concerns, lack of creativity, imagination and intelligence. At 20:30 Rob said "I think the consensus now pretty much is there is no such thing as an ideal length for a podcast" I AGREE! At 21:20 Rob said "The most popular podcasts that get 100,000 or more downloads are typically 51 minutes in length on avg." I can agree that's true. I would have no idea if it wasn't true. My take on that is it's easier to do a successful 51 minute or longer show if you get 100,000 downloads. Your supply is meeting a demand. It would be an interesting experiment to see how popular those shows would continue to be if you ADDED, or SUBTRACTED a few minutes in length to them every episode. At what length in time would you see a dropoff, if you saw a drop off at all. Many many years back the Tonight show starring Johnny Carson was an hour and a half. It was a very popular show. Then they reduced it to an hour. Although I can't produce any ratings comparisons before or after, it remained a very popular show,and I bet it became easier to produce, and provide content. Although that's TV, it's relevant to this conversation. The one hour format has become the staple for a late night talk show format. It's also the length of many daytime talk shows as well. There are some talk shows that are less than an hour (a half hour) but those shows are more talk, news and issue oriented as opposed to entertainment. The point being there are no rules. It comes down to being able to supply the demand...if there is a demand for it. As far as my show goes "Dumbing it Down with Dave" I've produced 69 shows of all various lengths. My first 21 episodes I did not care about length. I knew no one was listening and I took the opportunity to experiment to figure out what I was more comfortable and best at doing. At episode #22 I decided to try my best to stick to a 30 minute length to help me be more energetic and concise. I needed to get to "it, the "It" of Dumbing it Down With Dave. I had a good 4 month run between Nov. 2016 to Feb. 2017. My numbers shot up. Since March my numbers have been dropping. So now in the next phase of my show #70 and so on I need to find an answer. Is it my content? Length? Sound? Social media involvement? It's probably all four! I've also yet to expand my show to other podcast platforms. I'm only on Spreaker. Although there's plenty of help online, the tech part of podcasting I find scary, intimidating, and time consuming, especially when you have no idea what you're doing. In summation, we can talk about length all day, everyday. Length is just one small part of the puzzle of the successful podcast pie. Length, content, host, sound, and the combination of it all (like a perfect salad, soup or cocktail) is really what we need to be conscious of. Thanks for taking the time to read this letter. 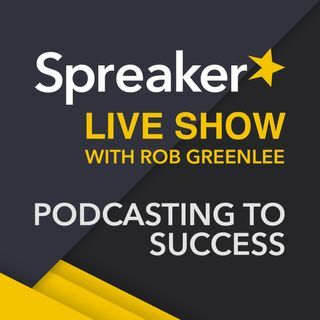 You guys are great (A and R), Spreaker and the wonderful world of podcasting. Hey Dave, Thanks for the detailed comment on your experience with episode length. It is a tough nut to crack and figure out for each show. You ask why your numbers have dropped. I would say a few things that are fairly easy to work on. 1) Update your square cover art image to not be distorted, you might try and get a graphic artist to take a run at it. 3) Then submit your show to Apple iTunes, Stitcher, TuneIn, Google Play Podcasts. Just a few tips and hope that helps. Linda, Your show has been submitted to iTunes, should show up in a day or so. Since 2017 started, I put segments and ads as chapters. Grunt art. Will remember this! I squared up Dave Kanyan's image and sent it to him this morning. Been gone for a while from everything and just getting back into the Spreaker community. I would never send hate mail to either of you. You are both great! There are really short (five minutes or under) that are simply a piece of original music. "Show Time X" under "Internal Monarch" here on Spreaker. If anyone is interested...and even if you're not, here is a link to my Episode #70 https://www.spreaker.com/user/8641051/70-my-response-to-spreaker-live-111. In this show I almost immediately read the letter that I sent in, that Rob and Alex read on air. I wanted people to have a chance to hear me read it in my voice and then hear my responses to their suggestions and tips. For the record I think that Alex and Rob do a great show providing valuable info and entertainment at the same time. Not easy to do. Rob comes prepared with years and years of valuable experience (with amazing detailed outlines) and knowledge regarding Spreaker (btw, he's the head of content) and then podcasting in general. Alex is also knowledgeable but is really filling the role of color commentator a bit more. Does Alex fly off the handle sometimes and maybe lose his place and train of thought? Yes! He has admitted as much. Do I disagree or not understand what he is talking about sometimes? Yes! Am I gonna stop listening? No! The content is too valuable and I think Alex is a good part of that. Rob and Alex have a yin and yang thing going. Besides I'm pretty sure I heard Alex back off his comments about David J. and all is good. I think Alex's comments are good for the show and podcasting in general. It keeps Spreaker LIVE honest. It would be boring if all Alex did was agree and be a yes man to everything. If Rob thinks that Alex goes across a line then I'm sure Rob would say something and maybe even reprimand him or something to that effect. Demerits might be something to consider. I think it's great that Dave wrote the letter that he did and we are now discussing it three episodes in succession. Spreaker LIVE #110-112. Rob had mentioned in a previous episode possibly way back in 2016 that he was hoping for more letters, comments, input from other people than the few of us who comment regularly. Maybe this is the break he was waiting for. I for one will pledge to comment more often and be as honest as possible. I will start NOW! Anyone who does know who Dave Jackson is or would bash Dave, can't really be part of the indie podcasting community, Dave is well known and respected in the independent podcasting community.I liked this show a lot better before as you call the colorful person started hosting. Not listening anymore! Get a new co-host someone who knows more about the average podcaster. Alex, sorry to push your buttons. I still don't see where I came across as a guru in my comment (the joys of not having a tone of voice in a comment). I'm would guess I'm not the same a your YouTube Audience who (sound like they) are waiting to pounce, criticize, and run (so please don't treat me as if I am). For the record, I like shorter shows like you. Rob hit the nail on the head, I have my eye on the information from the bridge ratings report (that show that people listen in 22-minute sessions - which I also agree with as that's what I used to do when I had a commute to work). That information comes from a radio guy, and radio guys tend to slant data toward streaming shorter shows (because they want to put an add before your show and if it's 20 minutes long I get three ads an hour vs 1 ad if your show is 50 minutes). The bridge report is created by a guy who works with advertising. So I'm not PRO long short, or PRO short show, I'm PRO good content that is as long as it needs to be. Too many people read the bridge ratings and think, "My show needs to be 20 minutes." The DATA from Rob Walch shows that you CAN (if you want) have a successful long show. It also does NOT mean you HAVE to have a long show. The Bridge report was the one (from the radio guy) that said people were dropping off. The Edison reports (not done by radio peeps) shows that "Most podcast consumers listen to most of the podcast episodes they download, and the vast majority listen to at least most of each episode (see http://www.edisonresearch.com/the-podcast-consumer-2017/ ) so "most" is widely open to interpretation. The article I commented on was the bridge ratings (that again was pointing people to a 22-minute show - fueled by a slight bias). "I don't know if that's true." That what makes you appear closed minded, but then again its a free country. You don't have to accept my sources. Then you insulted my integrity because I work for Libsyn. Since you asked, I have told my listeners that I work for Libsyn. I have a had coupon code for libsyn (and blubrry, and spreaker) for 10 years before I was an employee (and I earn a commision on all three). You then based my relevance on how many downloads I had on spreaker. That would be like me basing your relevance on Podbean downloads. Since you seem interested, 1.5 million downloads on a show about podcasting.. Rob last week brought up long shows, you stated, "But do they listen?" Rob brought up data this week, you stated, "But is it true?" Podcasters lose people at the beginning of the show. So I don't write off all of that report. Can you please acknowledge where you might come across a bit closed minded based on the two examples above? As you and I have said, we don't know each other, if you ever want to hop on skype I would love to have a dialogue. I look forward to shaking your hand at Podcast Movement.